And the winner is…. La Log! Towards the end of last year we ran our second START2ACT competition – the START2ACT Autumn Challenge. The Autumn Challenge asked companies to show us how they reduce their energy demand from equipment that they use on a daily basis throughout their office, in order to save carbon and reduce their energy bills. We received a range of inspiring contributions from companies from across Romania, Poland, Croatia, Slovakia and the UK, ranging from staff engagement initiatives to technical solutions. The judging has closed and we can now announce that La Log from Croatia is the lucky winner of the START2ACT Autumn Challenge! 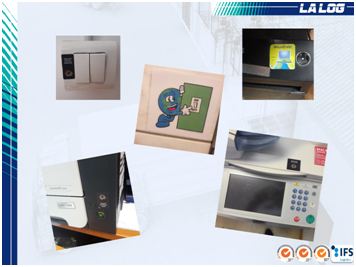 La Log showed the most commitment and highest variety of approaches towards reducing electricity demand from equipment, including introducing House Rules to establish procedures throughout their office, regularly training employees and labelling equipment to increase awareness. La Log also ensures that energy efficiency is considered in purchasing decisions and is working towards achieving ISO 50001. “We need to be aware that we spend 1/3 of our day at work, so our workplace becomes our home for that period of time. Ask yourself a simple question: Would you leave some electronic device or unneeded light on unnecessarily in your own home? Why should we behave differently at work? La Log finds that these kind of initiatives are important to its employees and will continue to improve the company’s energy efficiency credentials. For the winning entry La Log will receive an Amazon Fire tablet (see below to see how you can win next time!). Thank you to everyone who participated in the competition and to those who spread the word. We hope you all enjoyed the challenge. Don’t worry if you missed the Autumn Challenge - the START2ACT Winter Challenge is now open! Visit this link to find out how you could win one of two Alexa-enabled Amazon Echos. Five runners-up will also receive a seven day energy-saving timer. It takes just 5 minutes to enter!